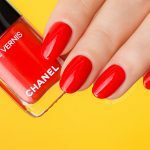 Chanel 918 Flamboyance is a stunning shimmering red nail polish that was released for Christmas… Yes, I know Easter is almost here! But I’m sticking with my #tryalltheuntrieds2019 agenda and this particular red lacquer is so gorgeous! It can be easily worn for any special occasion – dinner out, date and summer party as well as during the festive season. Plus, Flamboyance is also Limited Edition. So I better show it to you now and if you’re a fan of red nails there’s still a chance to get it. 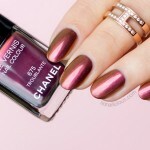 You may recall my Chanel Opulence review from the same collection, but Flamboyance took me a while to try. Though, as I’ve discovered performance wise and colour wise, Chanel 918 Flamboyance is so much better and more interesting than Opulence. So I regret I have not tried it immediately and well, my Christmas manicure could have been different. Oh well, I’m rectifying my mistake now. PHOTO ABOVE: my attempts to capture the gold shimmer on camera! It’s there, there… can you see it? Formula: 5-free. Fast drying. 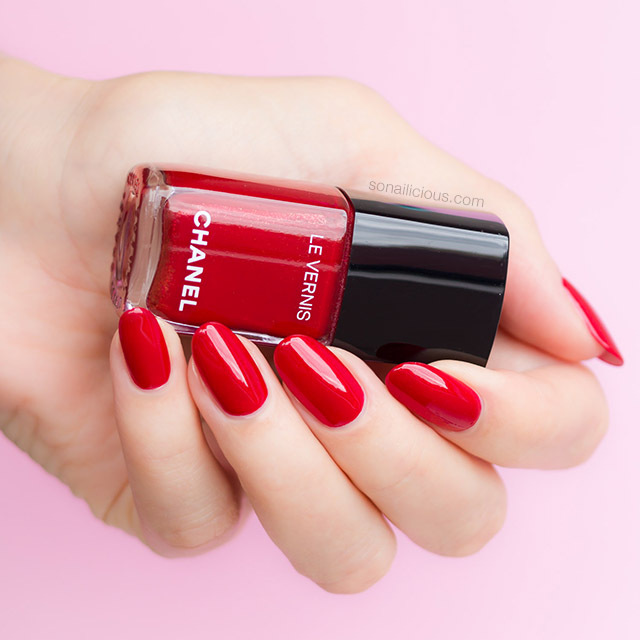 It’s a jelly shimmer but very pigmented, so you’ll need only 2 good coats to get Chanel Flamboyance fully opaque (2 thin coats pictured). Application: The consistency is perfect and the lacquer is very easy to apply flawlessly. Zero visible brush strokes and zero bubbles that some of the jelly polishes tend to have. Finish/Colour: A glossy reg jelly with a strong gold shimmer copper. 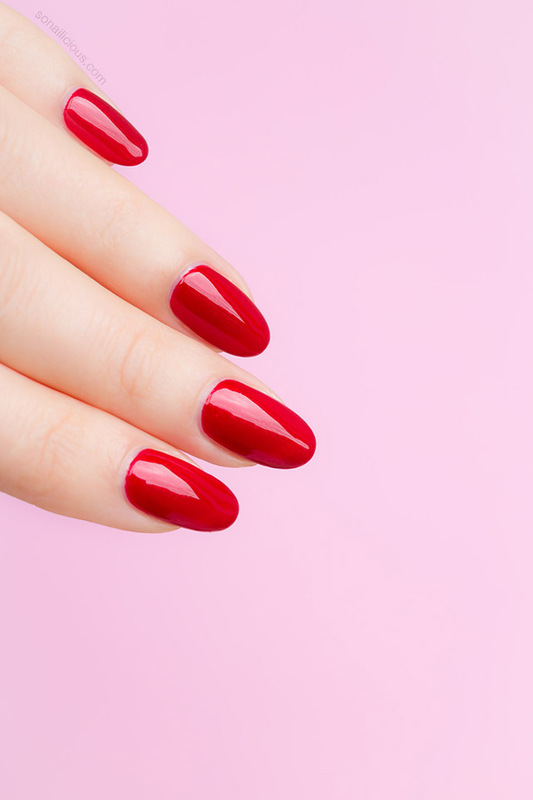 This red nail polish looks exceptionally vibrant and rich and the beautiful gold shimmer shines bright in direct sunlight. The shimmer is almost invisible in the shade. Dupes: There are no close dupes. Initially I thought that Essie Jag-U-Are and Chanel Flamboyance would be similar. But after comparing them, even just by looking at them in a bottle you can see they are very different. Jag-U-Are is darker, more opaque metallic red. Flamboyance is a glass vibrant red jelly with gold shimmer. Wearability: Lasted for 7 days with top coat. 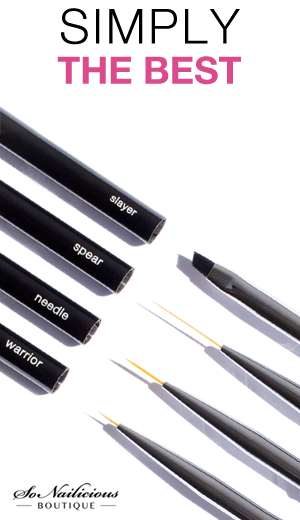 Incredibly long-lasting! 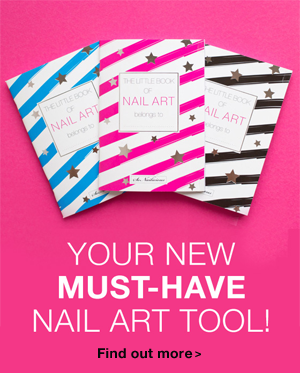 Nail Art: Chanel Flamboyance looks very beautiful on its own, but can be easily used for any kind of nail art. 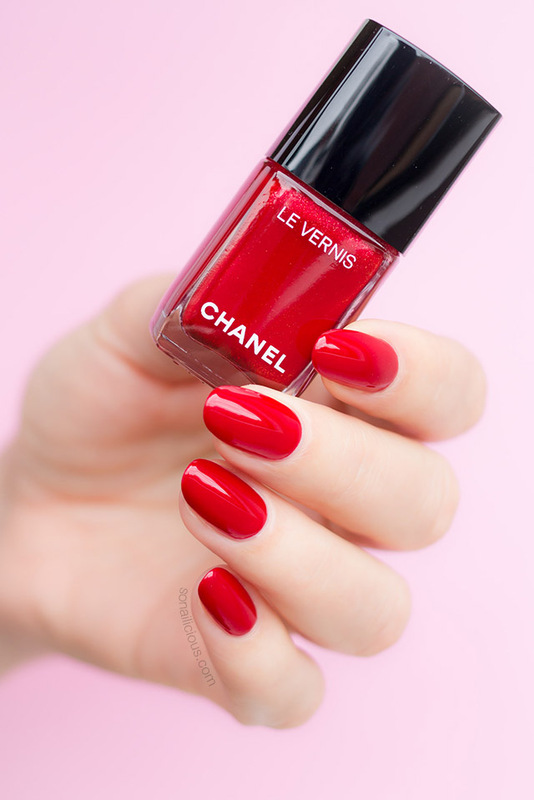 Overall Impression: Chanel 918 Flamboyance is a stunning red nail colour in jelly finish and with a strong gold shimmer. 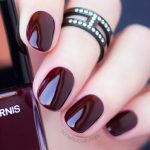 Super flattering, with the flawless, long-lasting formula, this unique red nail polish is perfect for a special occasion. An absolute ‘must have’ for any fan of red lacquers. 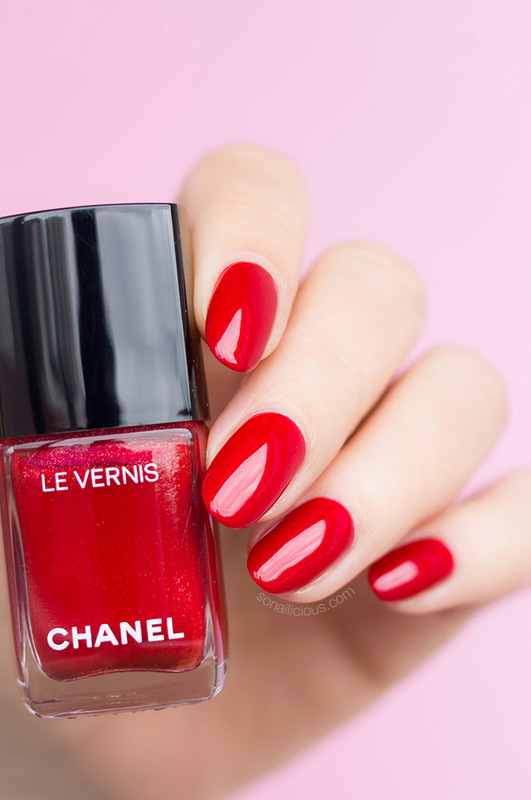 Where to buy: Chanel 918Flamboyance, US $27 is sold out online but keep checking here and here (you might get lucky like I did). Good news for our Aussie friends, it’s still available via DJ’s AUD $41.00 – here. Do you like red nails? And, what do you think about Chanel Flamboyance, is it a worthy investment?